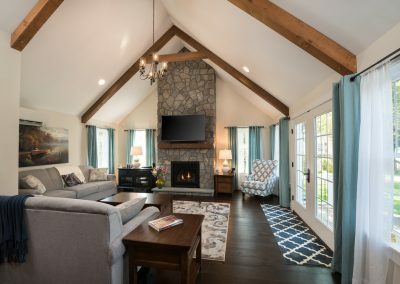 This family room has added 400sf of living space with great amounts of natural daylight to this family’s home in Wilton. 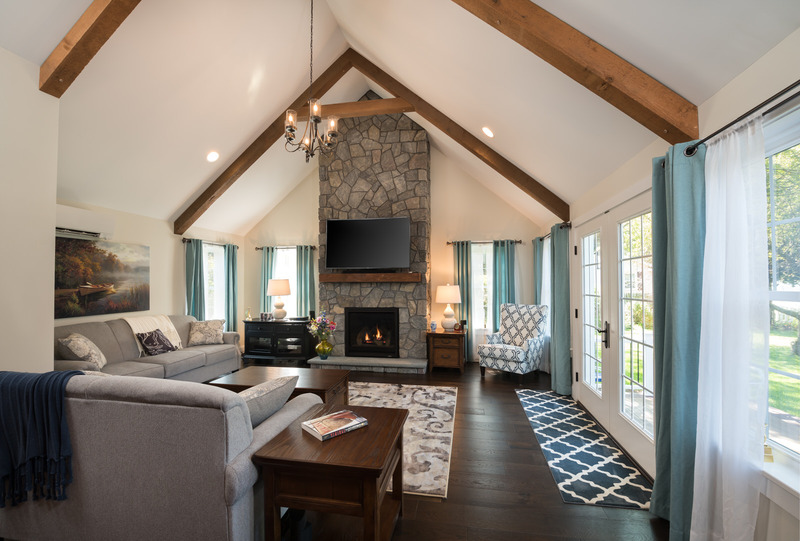 Complete with a gas fireplace featuring floor to ceiling stone surround and two reclaimed beams which add character and bring attention to the cathedral ceiling! 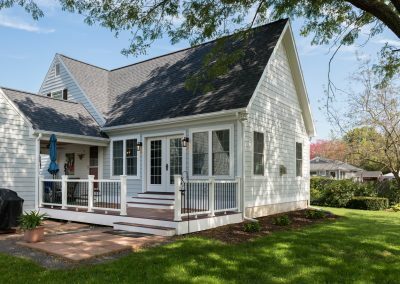 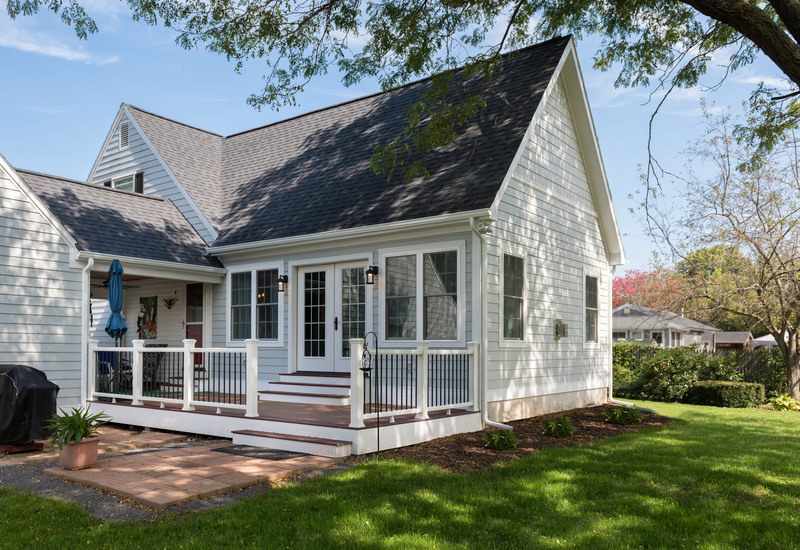 Walk out the new french door to a 10′ x 20′ Trex deck large enough to entertain. 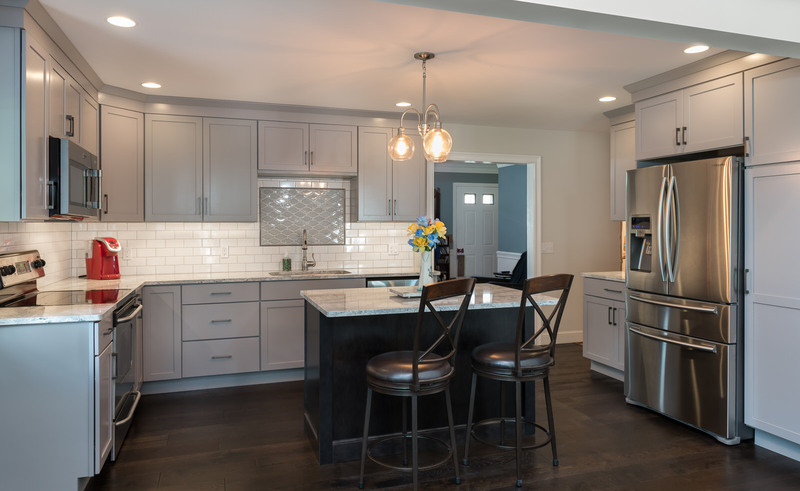 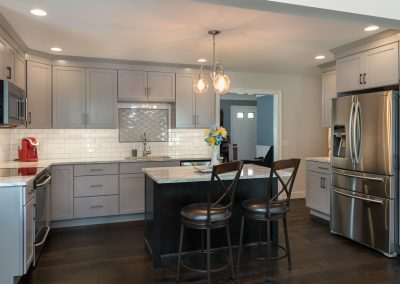 The kitchen was gutted and remodeled with new Merillat cabinets, quartz countertops and Armstrong flooring throughout.